Today I have something serious to write about the country I decided to live in. My friend Giselle and her husband filed an I-212 waiver. 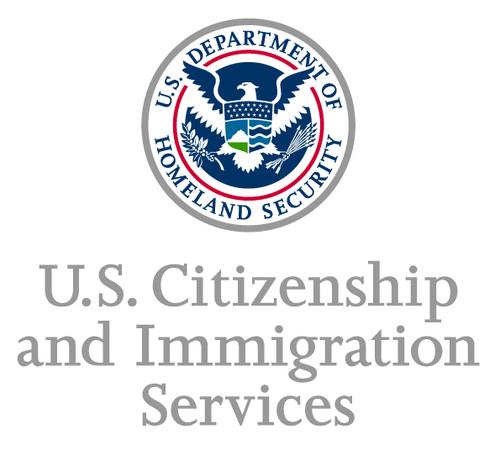 The I-212 is an application for permission to reapply for admission into the United States after deportation or removal. The entire application was a large stack of papers, the kind that you need two arms to carry. It included documents that their marriage is real, bank statements, apartment leases, telephone bills and a lot of letters from friends and family members that shared their desire for justice proclaimed. There’s no formal time limit by which US Citizenship and Immigration Services (USCIS) has to release a decision about Giselle’s husband’s waiver. They might answer tomorrow, or in a few months or maybe next year. They submitted the application in September of 2012. If the answer is positive they can apply for permanent residency. The same application I had to go through. Now you have to hold your breath: The United States Citizenship and Immigration Services (USCIS) does not know where the waiver application is! It is missing. The big pile of paper with all the accumulated documents has disappeared. It has vanished in the universe of bureaucracy’s ignorance. I am outraged and furious! How can a country, a government, the Immigration Services be allowed to play with people’s lives to such an extent. How can they dare to let people dance the Limbo dance until they are so exhausted that they give-up, give-in, get bitter and hate the USA for their humiliating strategies. Giselle’s husband got deported in 2001 even though he was married to an US citizen! They both tried to live in Mexico, but the struggle for money got so hard that Giselle moved to California. Since a few years she lives and works in the US, supports her husband, travels back and forth AND pays for a lawyer to get him back into the country. My question is: who wants to live in a country, where the Immigrations Services treat you like the dirt underneath your feet? The answer is: no one. BUT we want to be where our loved ones are. We want to be where the person is we simply don’t want to be without. That is why we take all the limbos, all inhumane actions, all the humiliating feelings, pay all the fees without even blinking twice and we take all the undefined waiting. I experienced all this even though I am what you typically expect to be a welcomed immigration candidate. I am neither from Mexico nor was I deported. An officer at the USCIS said to me: “Young woman, you just have to play by the rules.” Yes, yes, yes … that is the only thing I could do, but even playing by the rules is absolutely no guarantee for being treated in a fair and human way. Many decisions seem to be made in a completely unpredicted way and they simply have the power to do whatever they want. Giselle found out about the missing application in Washington D.C. where she went to attend the immigration rally for comprehensive immigration reform a couple of days ago. This entry was tagged A German woman living in the US, Freunde, immigration rally for comprehensive immigration reform, relationship, USCIS. Bookmark the permalink. I sure do hope she made a copy of everything…if college taught me nothing it taught me to copy, copy, copy b/c it will get lost. Hey Giselle, yes! As I already said to you, talking about your experience reflected through my own helps me in various ways. It creates perspective and also the temptation of drifting away in feeling pity for you/me/anyone does not happen. I believe it can bring people together in action rather than in resignation.